Is Virginia a Good Place to Retire? Looking for a place to spend your retirement years? Retiring in Virginia is a popular choice for many retirees, especially among military families. No matter where you’re from, you’re sure to find a place in Virginia to call home! In 2017, Virginia was ranked by Bankrate as the 6th best state in the nation for retirees. This ranking took into account cost of living, crime, health care quality, tax friendliness, retiree population, cost of living, and cultural and social categories. Virginia ranked highly in nearly all these categories. And surprisingly, it’s the only one in the top 6 with miles of beaches—we think that makes it the clear winner! Besides the relaxing beaches, here are a few reasons why we think Virginia is a good place to retire. Retiring in Virginia: Why It’s a Great Idea! Virginia has it all: rich history that is apparent in the architecture and natural beauty everywhere, from gorgeous coastlines to scenic nature trails, rolling farmland, and picturesque towns. There aren’t many places where you can experience all of these sights in a relatively small area, but in Virginia, you can! Coastal cities have beaches where you can soak up the sun, go swimming or boating, and enjoy the boardwalks. There’s plenty of shopping and restaurants anywhere you go. When the family comes to visit, there are parks, beaches, festivals, museums, and much more. If you love the great outdoors, you’ll enjoy hiking and walking trails with birdwatching and wildlife watching, or you can go kayaking, canoeing, and fishing. Golf enthusiasts will love Virginia’s many incredible golf courses. Cities like Virginia Beach have growing numbers of retirement communities—many of which are close to the ocean or the ChesapeakeBay. These retirement communities offer tons of amenities that make it worth moving: walkability, senior assistance programs, good healthcare, shops and restaurants, activities tailored toward the 55+crowd, and more. In all major VA cities and many towns, you can find luxury apartments and condos that are tailored toward retirees, with all the conveniences you need within a short distance from home. Want to settle down in style, but don’t have a huge budget? Then you might have to pass on expensive locations like Virginia Beach, but you can still get excellent quality in places like Chesapeake and Richmond, VA. These cities are widely known for their affordability, but they definitely don’t skimp when it comes to the activities and amenities they offer. As one of the more tax-friendly states for retirees, it’s a smart financial decision to retire here. Social security retirement benefits aren’t taxed in VA and your retirement account withdrawals and pension income are deductible up to $12,000. Plus, Virginia has low property taxes and sales taxes in many areas. Looking for a place to call home in Virginia? 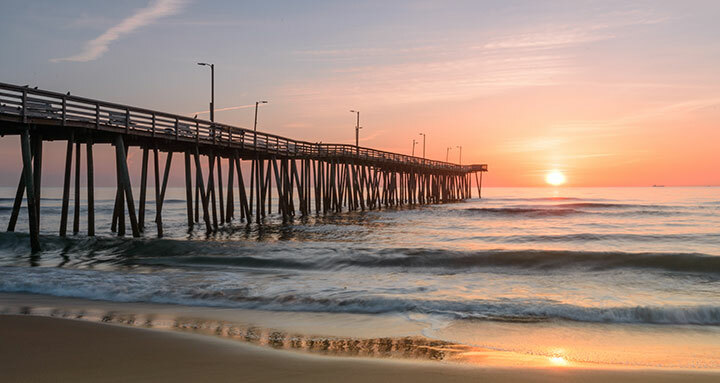 We serve southeastern Virginia areas including Chesapeake, Suffolk, Norfolk, and Virginia Beach, and we’d love to help you find the ideal place to retire! Contact us today to learn more.